Concept: 3D printing creates millions of new business opportunities that can be started from your kitchen table. Former editor at Nature, Science and The Economist, C. Anderson is known for his book The Long Tail: Why the Future of Business Is Selling Less of More. The book explains how niche markets suddenly became huge opportunities thanks to the Internet. 3D printing (3D printer, laser cutter, CNC) allows everybody to be a manufacturer and create prototypes for their own use. Thanks to the Web, manufacturing can easily be outsourced turning your prototype into a product with a digital design and a credit card. Global supply chains have become scale free, able to serve the small as well as the large, the garage inventor and Samsung. A supportive 3D-community and open source principles lower thresholds and provide easy access to existing designs. The picture below shows a 3D printer by MakerBot. You can already buy a 3D printer for 2.199 USD on http://www.makerbot.com/ . Example of 3D Printer by Makerbot. The following 5min video shows some good examples and possibilities of 3D printing. 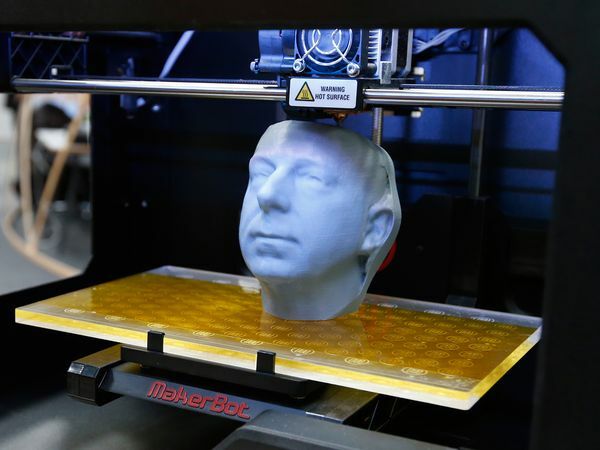 3D printing can be the engine of economical growth for the coming decades. Partially explained by production shifts to the homelands due to decreasing economies in outsourcing labor (eg. to China). After last years’ pessimistic messages on economical and financial crises this book should inspire each person hesitating to become an entrepreneur. Crowdfunding with Kickstarter.com: Find money without paying interest or giving up a portion of the company by making use of social capital. The process of raising money also works as a free market testing since valuable users provide you valuable feedback. Voting Capital with Quirky: this is not only a specialized forum where the crowd decides on winning ideas (like Kickstarter) it houses also a team of product-development professionals that take over the next phases of a product development after the idea generating phase. Industrialized crafting with Etsy: a market place that provides Makers to sell their own crafted products. 3D scanning: Free Autodesk 123D Catch, Makerbot 3D scanner. Electronics: Adafruit budget Arduino Kit, Weller WES51 soldering station, Sparkfun digital multimeter. 3D printing got me dreaming myself, and I cannot wait to try some stuff out in a couple of years. Last week at TEDx Brussels, Jason Dunn fascinated me again on this topic, talking about 3D printing in space. Getting started with 3D printing is probably one of the most promising ways to become an entrepreneur. Low starting capital and open source principles make it possible for almost everybody to start a small new business. Previous Previous post: Start managing yourself by answering 5 basic questions. Next Next post: Do you know when you’re misleading yourself? Learn how to get out of the box. Thanks Freddy! Just ordered Gladwell’s David and Goliath, commenting on it soon. Heard some mixed messages. Curious to find out. Do not hesitate to make some comments here. Fascinerend dit! Het heeft me al aan het denken gezet om hier een businessmodel rond te bouwen. Wordt daar in het boek ook aandacht aan besteed aan de cijfermatige kant van dit soort projecten. Kostprijsanalyse,investment costs,etc… Volgens mij staat dit nog in zijn pioniersschoenen, nee? Vond hier niets van terug in het boek. Ga zeker es kijken op de links, met googlewerk kom je al een heel eind.